Innovation brought on by a legend. The Patato Model Conga is just one example of the innovation brought on by a legendary musician and performer; Carlos "Patato" Valdez. Developed in 1978 after a recording session with "Patato" at the studio in Martin Cohen's home. Patato's own design required tall drums with a wide belly and small bottom. This 12-1/2" Conga projects deep bass tones and great volume without sacrificing crisp, high sounds due to its fiberglass shell and hand-selected natural rawhide head. 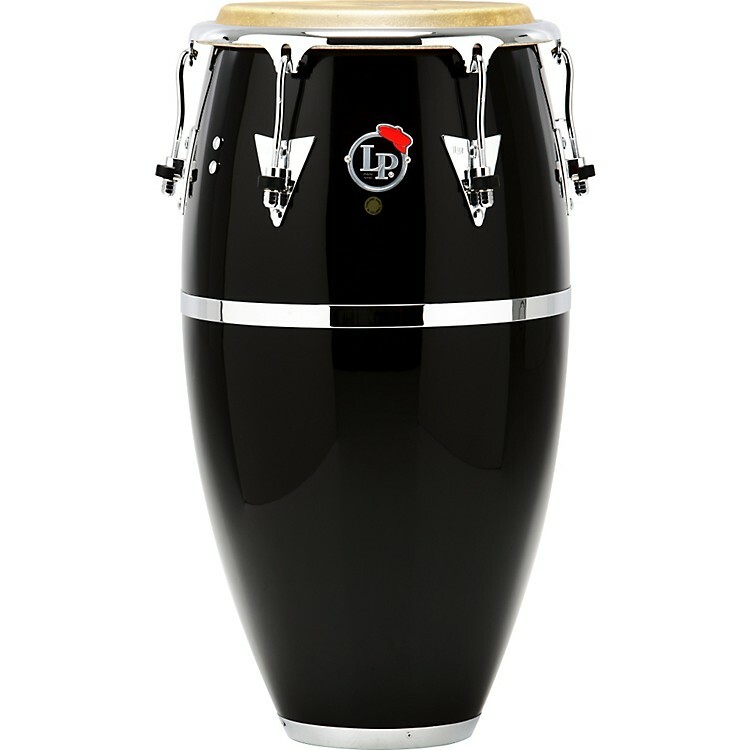 It also features LP's Comfort Curve II Rims for easy and comfortable playing. It is perfect for any style of music and are great for live playing. Its fiberglass shell has a steel ring embedded at the bearing (top) edge of the drum shell for added strength and stability. It also features LP Procare Integrated Shell Protectors that prevents the side plate hardware from marking or damaging adjacent drums.